​Chelsea and Napoli could be set to conduct a shock managerial swap in the summer, according to the ​Mirror. Blues boss Antonio Conte and Napoli counterpart Maurizio Sarri may end up trading places at Stamford Bridge and Stadio San Paolo in what would be an extraordinary exchange between the two sides. The future of both managers has come under scrutiny throughout the 2017/18 campaign, with Conte expected to head back to Italy and Sarri admitting that it may be time for him to leave Naples in search of a new challenge. That has led the Mirror to put two and two together and make five, with the red top claiming that ​Chelsea's interest in luring Sarri to west London could see them trade Conte for the Argentine in the close season. Sarri has been tipped for his first job outside of Italy in the past month or so, with the 59-year-old the favourite to replace Conte at Chelsea if owner Roman Abramovich elects to send him on his way after a below-par season. With Conte making noises about wanting to head back to his homeland earlier this term as well, it isn't difficult to see why this particular rumour has been given legs. For me this Antonio Conte / Maurizio Sarri 'swap deal' being touted by 'sections' of the 'media' would be like going to bed with Shakira and waking up next to Susan Boyle. Sarri has grown tired of the lack of competition in ​Serie A with his side set to lose out on winning the Scudetto to rivals ​Juventus, who would snap up the title for a seventh successive season. That has seen Sarri consider his future with Napoli despite being offered a new contract, and his current employers are believed to have drawn up a shortlist of possible replacements if he decides to end his spell with them. Conte himself has become disillusioned with life in England and has hit out at Chelsea's transfer policy over the past two transfer windows - comments that haven't gone down well with the club's board. #CFC - Honestly cannot see Sarri at Chelsea: communication + language barrier between him and players too big. But Sarri is frankly next level. Abramovich is seemingly reluctant to let the 47-year-old leave, but a changing of the guard may be necessary to try and bring the good times back to his club. 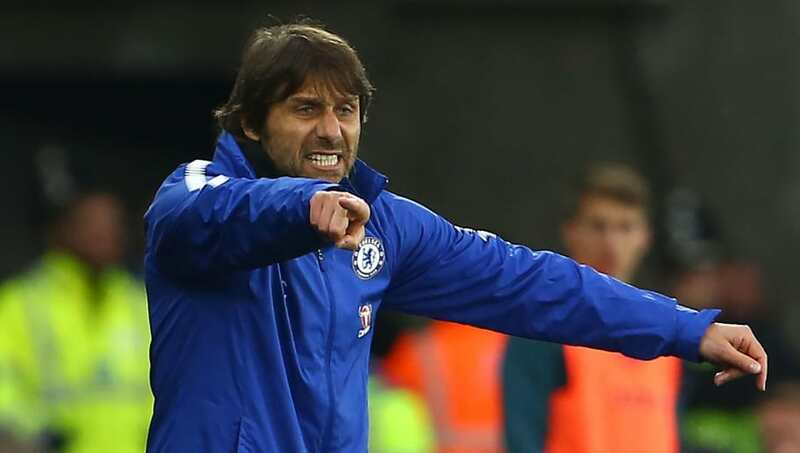 Conte was linked with the Italian national team vacancy but, with Roberto Mancini expected to be drafted in for that role, could be tempted to try and end his former side's dominance of Italy's top flight by moving to ​Napoli instead.